While I've only been to one Deer Tick show in my life, the fact that they opened the show with "Sleep Walk" makes me think that these rough dudes from Rhode Island care about me and my love for the movie La Bamba. Which, of course, is far from the truth; John McCauley and Co. care more about drinking out of a dusty bottle of Wild Turkey, if I had to guess. I would also suspect that they'll be ready to throw down some rock on Wednesday at The Firebird. Here's hoping they play "Born at Zero," off their latest EP, Tim, or "Main Street," off their 2011 release, Divine Providence. 1. 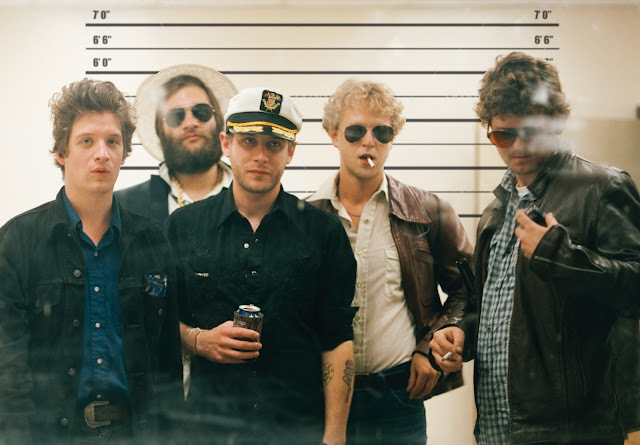 Simply copy and paste this into a tweet: I entered to win 2 tickets to see @deertickmusic on 5/16 @firebirdstl on @speakersincode! You can, too - just tweet this to enter! The contest will run through May 15th at 10 AM (central), and we'll randomly pick and e-mail the winner later on that night (if you enter through FB, we'll announce your name on our FB page). Good luck!